Property 8: Superb Country Cottage on Beautiful Mountain Property. Property 9: Gorgeous views, a big bath and a deck to lounge on. Property 12: Tree Tops - idyllic, peaceful getaway. Property 18: Twin Creek Cottage- a secluded forest retreat. 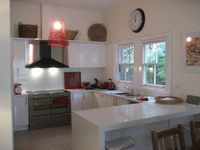 Property 26: 5 Star Accommodation for up to 6 near Healesville, stunning forest location. Property 40: Best location in Warburton!